There was a multi-pronged celebration at the Urban Redevelopment Authority’s URA Centre on 20 March 2019. 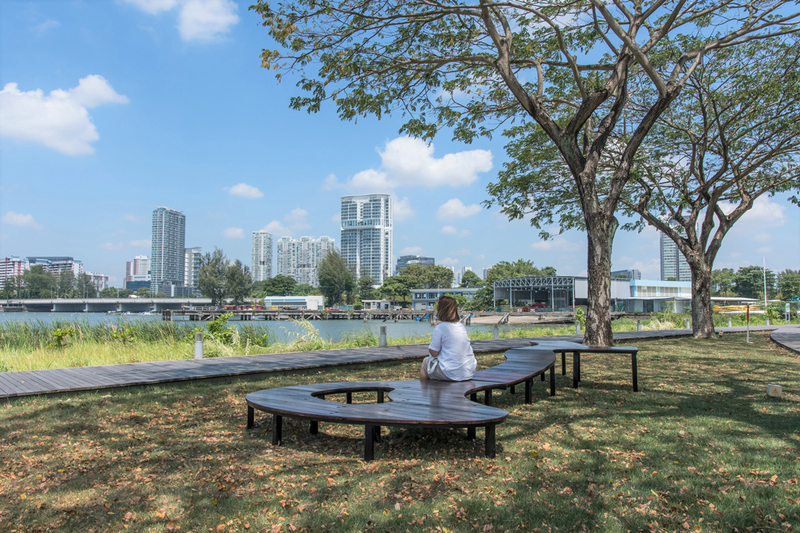 Minister for Social and Family Development and Second Minister for National Development, Mr Desmond Lee, was present to launch the newly revamped Singapore City Gallery, the new AUDE Space, and the URA’s new publication Contemporaneous Architecture. He also celebrated the winners of the latest round of the ‘Re:Bench’ competition for young designers. 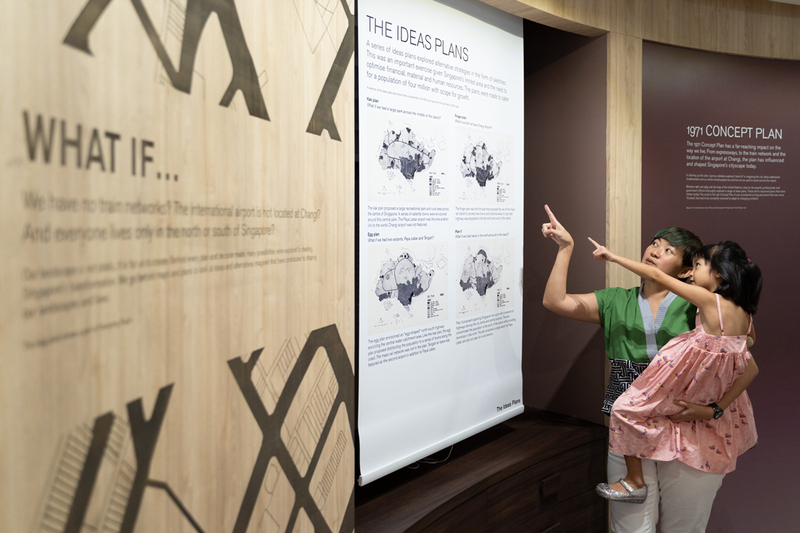 The revamping of the Singapore City Gallery at the URA Centre was a means of encouraging that broader public engagement. 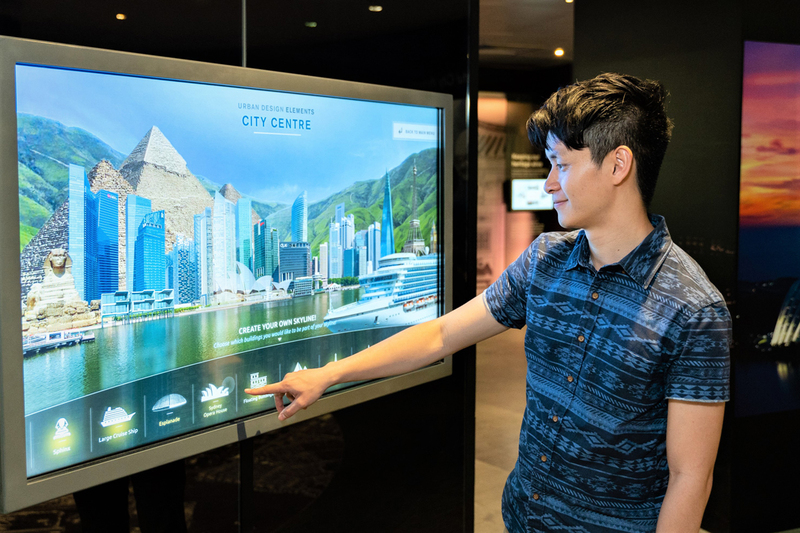 Immersive and interactive exhibits invite visitors (who have numbered over 150,000 per annum in recent years) to imagine themselves as urban designers by redesigning neighbourhoods and identifying what matters to them in urban planning terms. 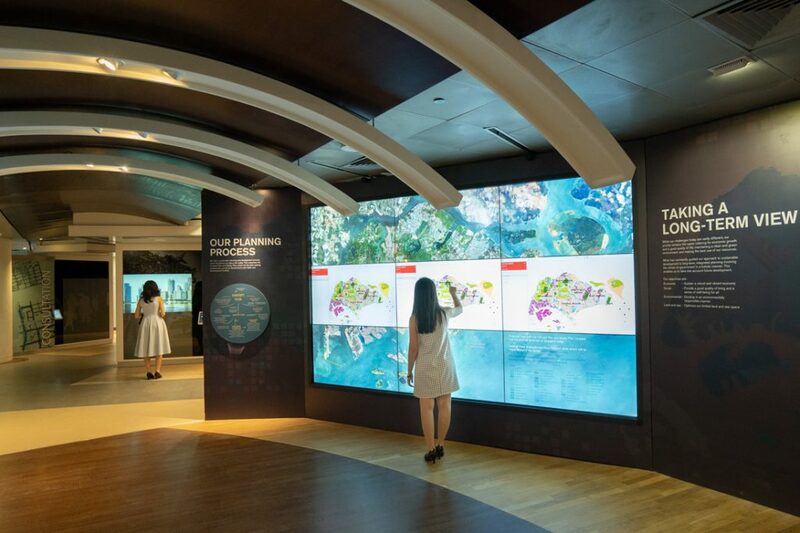 Creative Edge Consultants Pte Ltd, led by Derek van Dugteren and team, worked with the URA’s Gallery team to conceptualise the revamped Singapore City Gallery. 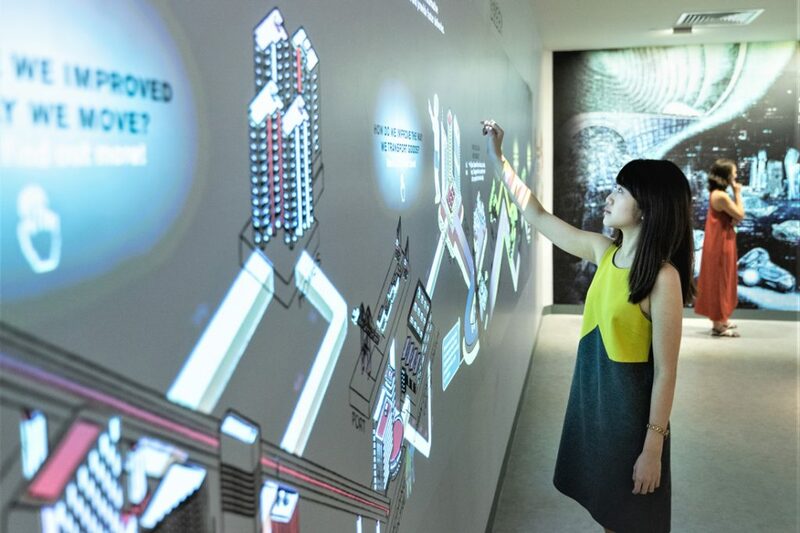 Multimedia People Pte Ltd was appointed as the interactive media designer for the revamped Singapore City Gallery. 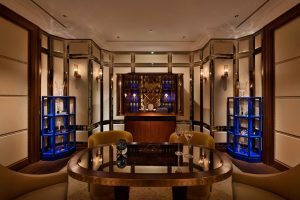 The Gallery was launched in 1999 and today spans over 2,400 square metres with 11 thematic areas and 40 exhibits. 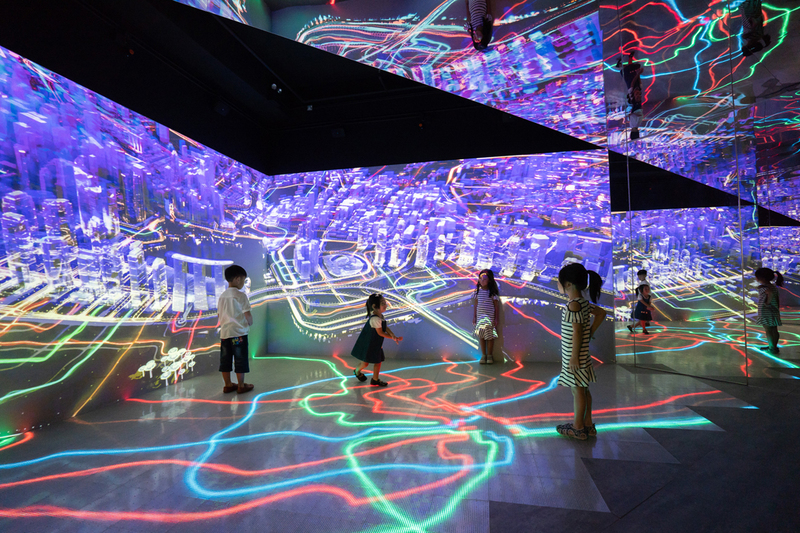 One of the first exhibition areas offers an interactive Master Plan on a large-format screen, which is updated in real time. 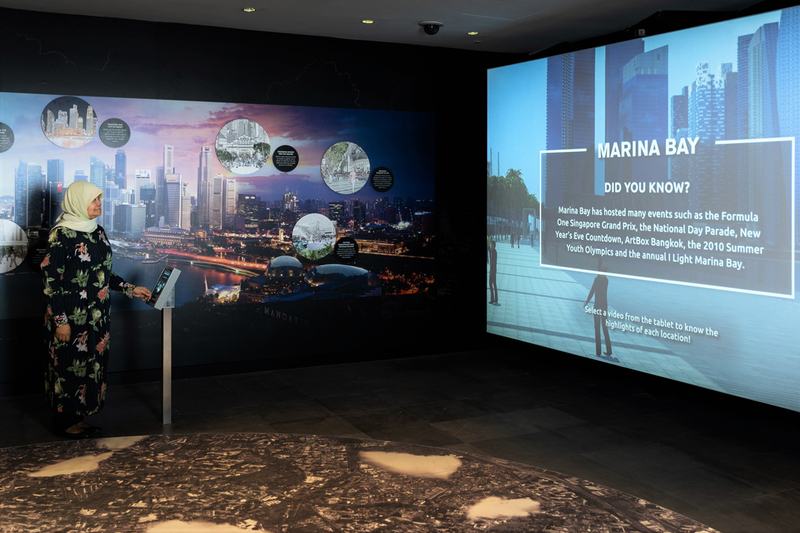 Other highlights include an immersive experience of otherwise hidden infrastructural networks; an interactive group game that allows participants to select what they’d like to see in their future Singapore; the opportunity to redesign one of three familiar Singapore streets with a reduced reliance on private cars; and an area where visitors can create their own skyline and redesign neighbourhood. 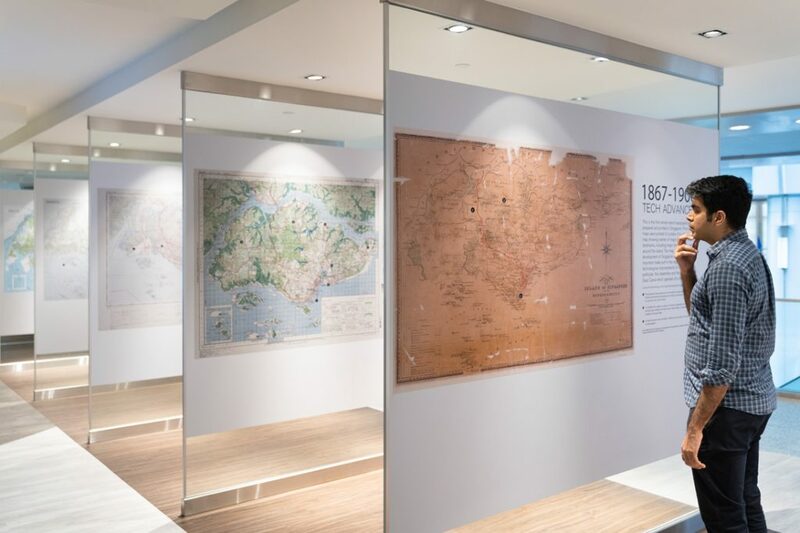 A particularly fascinating section of the Gallery is the new ‘Mapping Singapore’ permanent exhibition, which traces Singapore’s physical evolution over 100 years through 40 of the most important maps and plans. The earliest map is Chinese; it identifies the ‘Temasek’ land area in the 1400s. 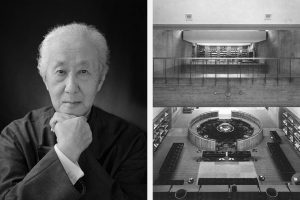 Also presented are original models by Kenzo Tange and I.M. Pei exploring possibilities for Marina Bay. 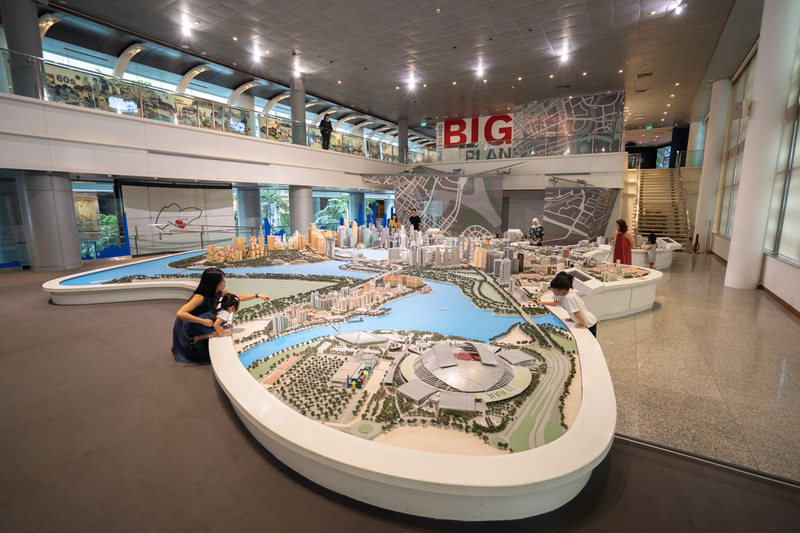 The Central Area Model endures, with ongoing updates to reflect the changing cityscape. 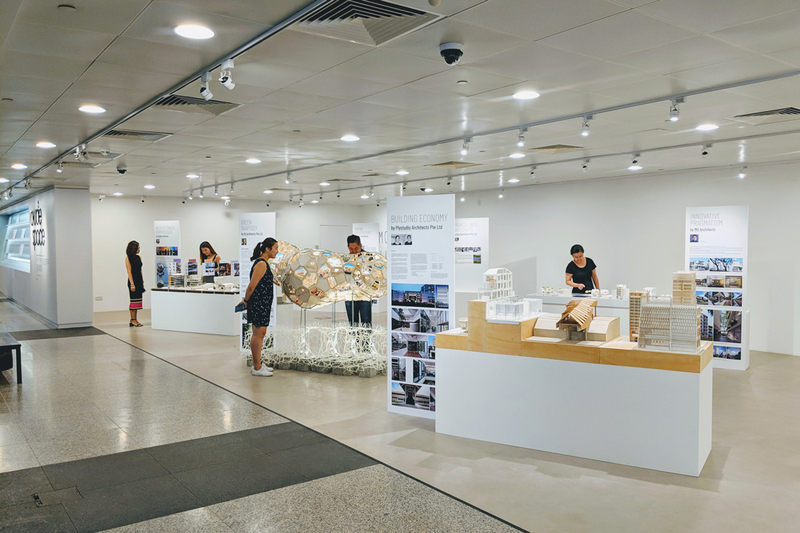 A 140-square-metre space on the ground floor of the URA Centre has been converted to the new AUDE Space (Architecture & Urban Design Excellence Space) – an exhibition space dedicated to showcasing work by Singapore-based architecture firms. The URA describes the debut exhibitors as “small or boutique architectural firms”. The showcase of eight firms will be displayed for three months before a second group of firms is presented. Firms interested in exhibiting can send proposals to the URA. 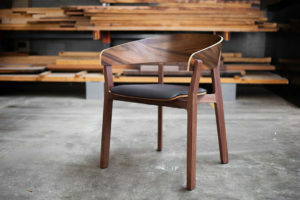 Their work will be evaluated based on strength of concept and design ideas, as well as the innovative use of technique and material. 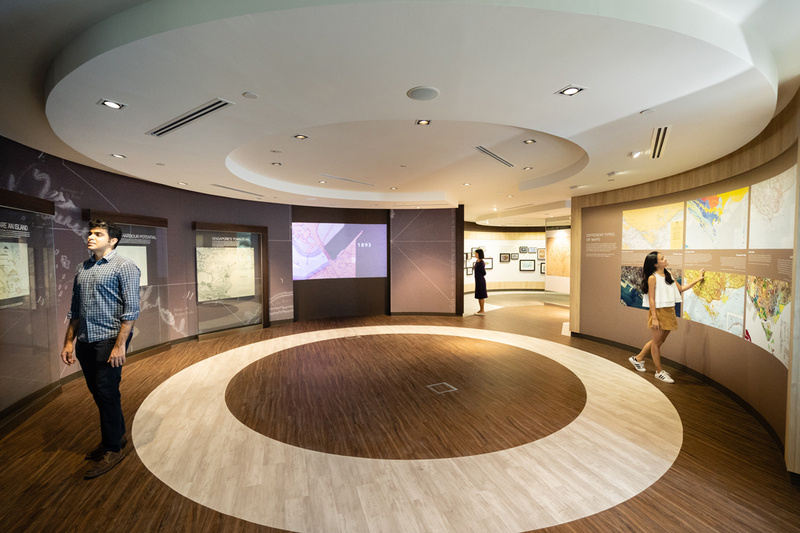 Adjacent to the new AUDE Space is a display area for books published by the URA as well as ‘Bookstop’ – Singapore’s first self-service locker-based book purchasing system. The Indesignlive.sg team was Bookstop’s very first customer, purchasing a copy of the URA’s latest publication, Contemporaneous Architecture! 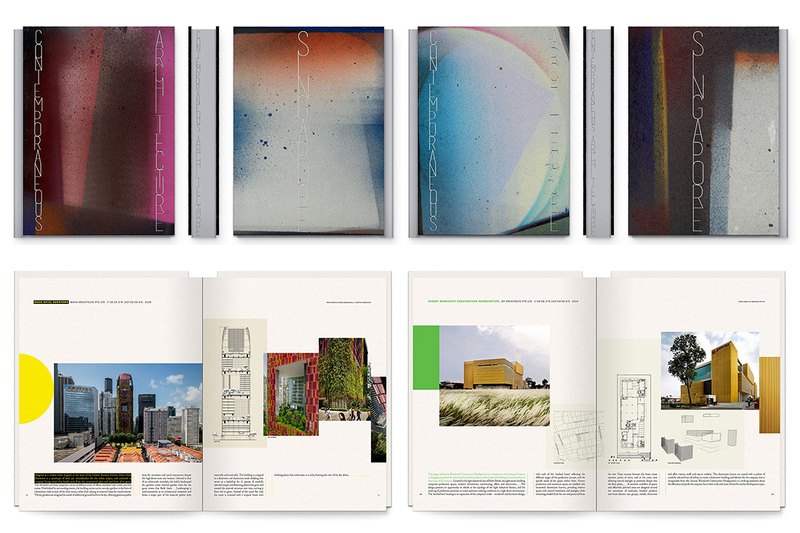 The new book celebrates 70 architectural projects that have helped shape Singapore’s landscape in the last 15 years. 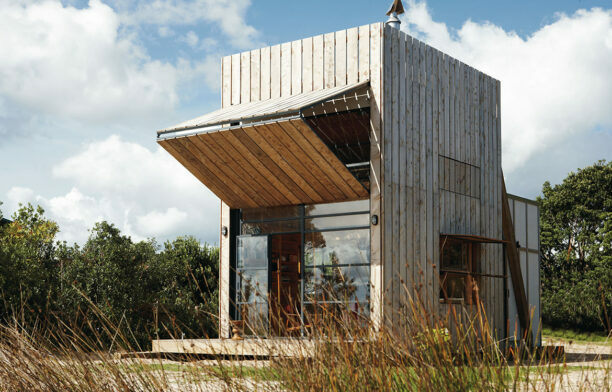 Featured firms include WOHA, DP Architects, SCDA, Linghao Architects, Chang Architects, ip:li Architects, FARM Architects, Red Bean Architects and Lekker Architects. 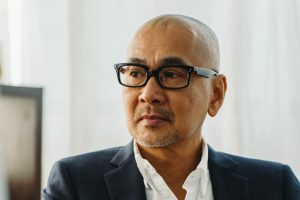 The book is a collaboration between the URA, curator Prof. Erwin Viray (Head of Pillar, Architecture & Sustainable Design, SUTD), and Theseus Chan (founder of WORK). Chan spray-painted the covers of 200 limited-edition copes. 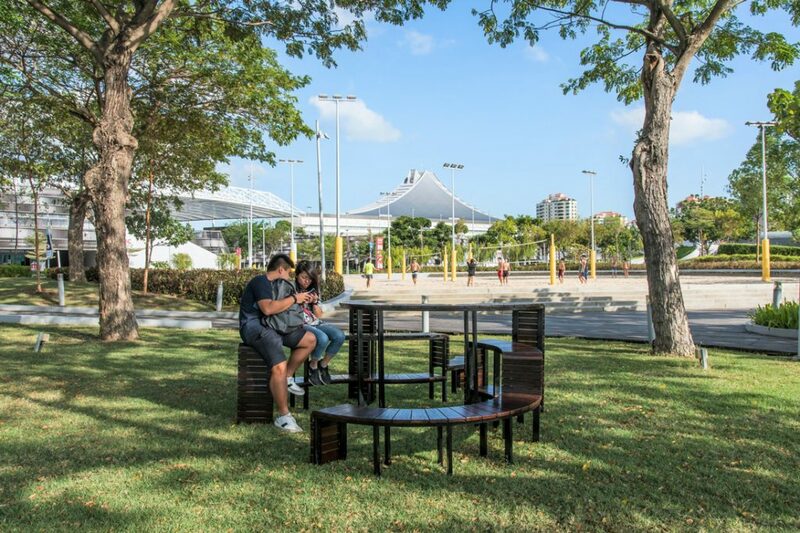 The repurposing of the timber planks that once served as the seats at the former National Stadium continues with the outcome of a fresh round of the ‘Re:Bench’ competition. 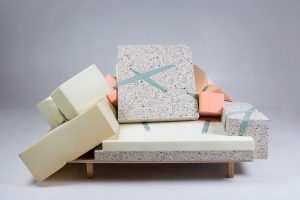 A new set of 14 benches was revealed, all created by designers aged 35 and under. 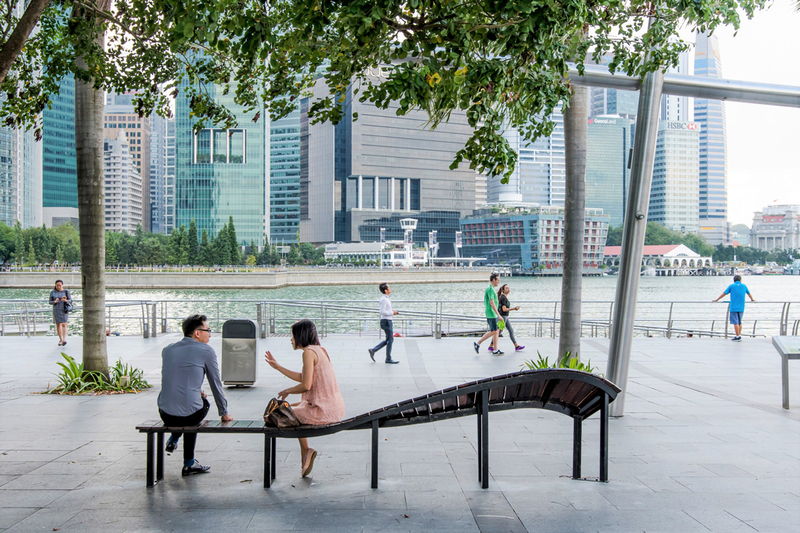 The benches are placed at the URA Centre, with a second and third set placed at Marina Bay and the Singapore Sports Hub for public use. The winning designers were each awarded a $1,000 cash prize. 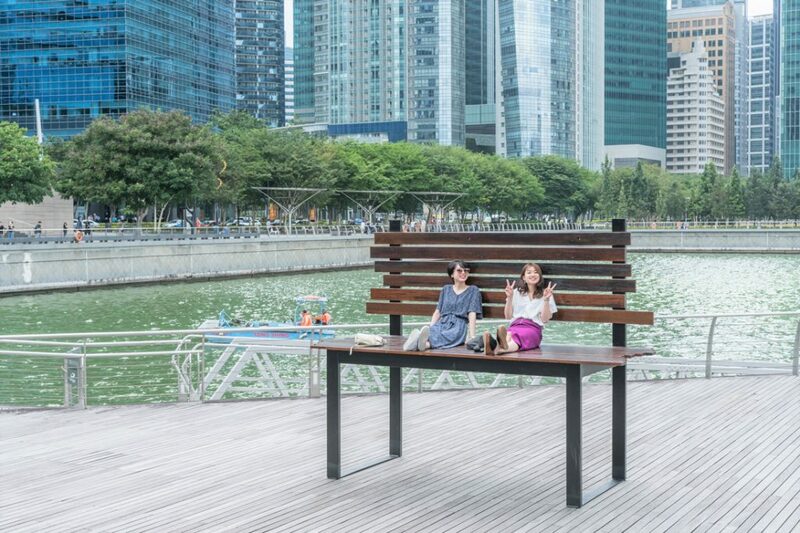 The winning benches were fabricated in Singapore by furniture-making company Hon Nam Lee under the guidance of Hon Quek Yang – a 76-year-old veteran wood-crafting artisan. 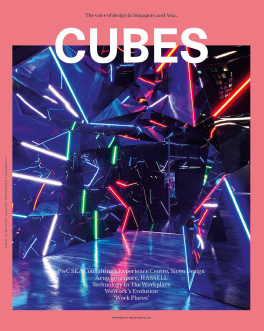 The winning designers are: Iven Peh and Kevin Huang, Xie Wenru, Valerie Chua Qi Wei, Jane Yu Wai Ching, Samantha Tan Shu Juan, Goh Zheng Ning, Muafah Binte Amran, Yeo Ker Siang, Guan Haotian, Yu Yang, Chin Guo Hong, Koh Min Xiang, Reynard Seah Jun Hao and Edison Gunawan. The selection panel for the winning designs consisted of Hwang Yu-Ning (URA), Larry Ng Lye Hock (URA and Board of Architects), Wendy Chua (Forest & Whale), Peter Sim (FARM), Hans Tan (Division of Industrial Design, NUS), Mark Yong (Singapore Furniture Industries Council and Ewins) and Nathan Yong (Nathan Yong Design and Grafunkt). The plethora of festivities was ahead of the 27 March release of the URA’s Draft Master Plan 2019. Currently open for public comment, the Draft Master Plan 2019 presents new proposals across the island including cycling networks, underground plans, development at the southern waterfront and more downtown homes. 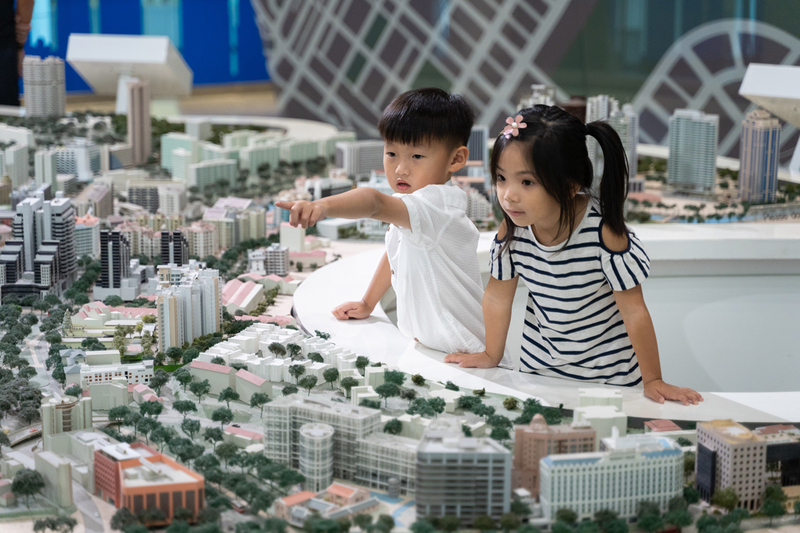 The Draft Master Plan 2019 Exhibition is open at the URA Centre until 24 May 2019. All images copyright Urban Redevelopment Authority. 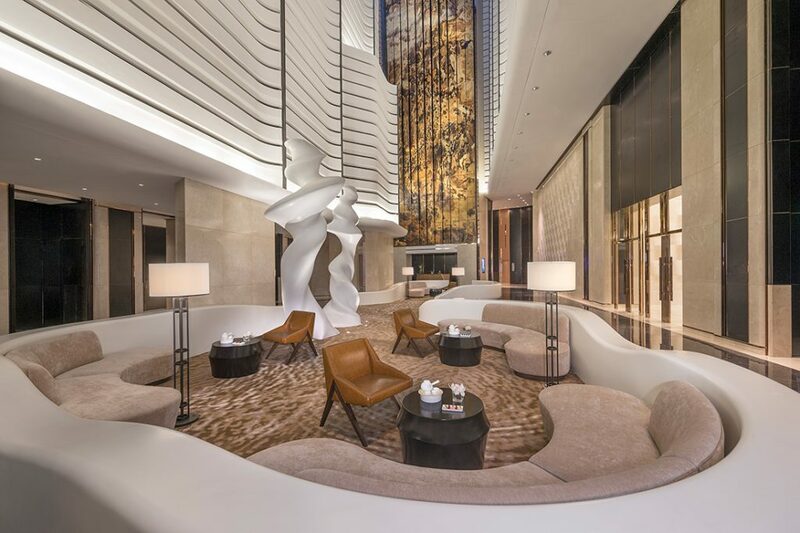 Comprising an exclusive business club by HASSELL and an innovation hub by M Moser Associates, The Work Project Capital Land addresses the expanding demand of the premium coworking segment.